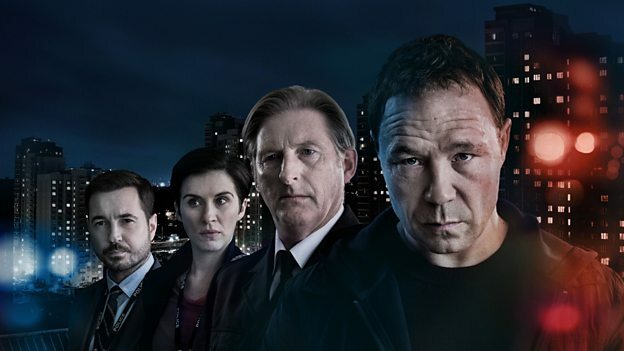 Line of Duty returned this Sunday on BBC One with a record-breaking 7.8m viewership to become the most-watched show of 2019 so far in the UK, beating not just previous seasons but also the first episode of Bodyguard, the award-winning drama that has become so popular that after just one season, drawing 10.4m viewers by its finale, to the point where the veteran Line of Duty series is advertising itself as being "From the Makers of Bodyguard". But that said, as good as Bodyguard is, it doesn't come anywhere close to Line of Duty at its pure, unrivalled best, which this excellent premiere showed what it was capable of. The lingering mysteries of last season remain as we get some new ones thrown our way in the premiere, enough to keep Alfred Hitchcock happy. Who is "H? ", the top dog at the heart of the corruption inside the police? Is it Hilton? Is the case closed? Or is there, given that this is only the premiere, more to the "H" mystery than meets the eye? Could it be Adrian Dunbar's fan-favourite character Ted Hastings, in what would be a predictable - given the trailers - but no less devastating reveal? Dunbar does brooding through windows like the best of them, and if he turned out to be a villain, it would give him a chance to take his character in a direction that he hasn't before. But it's clear that there's something off about Hastings, and that he's on edge moreso than usual. Too eager to close the book on one particular case, too eager to move on. It's enough to create suspicions in both Kate and Steve, who want to check out his alibi. Hastings makes a big point this episode that working with someone means taking them at their word, and he's no doubt going to be surprised when he finds out that the rest of AC-12 are going behind his back. The opening chase and case of the season (?) - ED905 - was established as quickly and as tension-packed as ever. From the get go we're on the edge of our seats, Jed Mercurio knows how to open TV shows at a ridiculously high standard, and sooner rather than later we find ourselves in the middle of a shootout when an armed police convoy is lured to investigate a burning car with a woman screaming for her baby. The driver does a runner and the police officers escorting the convoy are all killed, save one, a woman with a child at home, who is badly wounded and left for dead by one of the attackers, Lisa McQueen, who is suspected by AC-12 to be a Undercover Officer following a meeting with another organisation who are heavily invested in the case that they have stumbled across. It isn't too long before Hastings starts throwing his weight around, threatening Reg15s at anyone who gets in his way. The show is pushing too far in the direction of making out "H" to be Hastings that it seems like it would be more of a surprise at this point if he wasn't (surely it'd be too obvious to have a character whose surname starts with H be "H", right?). Either way, Hastings himself has gone through some tough times lately, but it's hard to believe after everything that he's been through, he's the top man in charge, even if it isn't hard to see beyond an inevitable confrontation where he is held under suspicion by Kate and Steve. But for now at least the game's elsewhere, with the identity of a key player in the OCG that seems to be behind everything this season represents the biggest threat to AC-12 thus so far, the real undercover police officer who has gone dark for several months. It's John Corbett - who could have been on the inside from the start of the entire history of Line of Duty. Which would mean he'd know about Dot, whose picture was shown on the wall to AC-12 when Hastings was talking about bringing down Hilton. I suspect that this won't be the last time there'll be a callback to Dot this season. Poor PC Maneet Bindra's days were sadly numbered the moment she showed a video of her baby at the AC-12 HQ, and Hastings' aggressiveness outweighing Kate and Steve's understanding only reinforced that (I'm still thinking about what's going to happen to her children a day after watching the episode). An emotional gut-punch was coming pretty early on and it hit home at the very end with her death at the hands of the OCG, especially following on from the reveal that Corbett was in fact the inside man, even if it wasn't the most unpredictable twist that Line of Duty has ever pulled (good twists don't always need to be unpredictable, though, I might add, and this is very much a good twist). It was cool to see more of Rochenda Sandall's Lisa McQueen this episode and with the knowledge now that she isn't the police informant represents an interesting narrative twist that gives room to flesh out both her and Corbett going forward, in a position where she very much looks set to potentially be the main villain of this particular series. But one thing's for certain, regardless of what happens next, signs are pointing to us being in the endgame now. With the show already renewed for a sixth season it suggests that this could be the curtain call as the series looks set to wrap everything up. There's only so much story Line of Duty can tell - it can't go on forever, and I am fully ready for it to go out on a high which it almost certainly will. So buckle in and get ready for a few weeks of re-familiarising yourself with police code-names, more twists and turns than you're likely to predict, and a true, edge of your seat ride from start to finish. This is television at its best, and Sunday nights just became fully booked right throughout April. Forget Game of Thrones, forget The Handmaid's Tale, forget Stranger Things. This is the TV event of the year.